Our digital marketing expert helps you to solve with all online marketing skepticism in this blog. Also know the various reasons why business should have digital marketing. Hiring a digital marketing expert? If not, you should. A digital marketing company is key to online marketing. They have the expertise to advertise your business on many platforms. And you need them. Because digital marketing itself is necessary in today’s business world. If you don’t know why, then no worries. Below, we’ll mention 5 reasons why a business needs digital marketing. Hopefully, this should help you conquer your online marketing skepticism. #1 – It Helps You Setup an Online Store. If you have an offline business, you can now expand a branch online. You can setup a website to take orders or service others. And that platform is accessible to all, regardless of location. You can sell a lot online. You can provide consulting services, freelancing jobs, or even sell physical merchandise. You can provide delivery by address, or delivery to email. 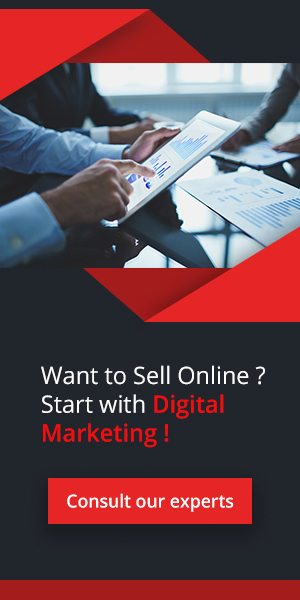 But – Selling Online Requires Digital Marketing. How else will you get orders online? You need to know how to redirect customers to your businesses. And that’s not something you do with offline marketing. You can’t provide immediate-click hyperlinks on flyers. And it’s hard advertising a website through post signs and billboards. Potential customers will forget your online address. And they’ll forget they even saw your ad. The solution is to market online. You do so with backlinks that redirect your ads to your website. And from there, you do your sales pitch. #2 – It Helps Your Business Stay Afloat. Without online marketing, you lose out on a huge market share. There’s less consumers for you to target. And the consumers you want to target have their attentions elsewhere. You see, most people today get their information online. They read their news online. And their new TVs are subscribed YouTube Channels. You need ads that target your customers’ online consumption. Because that’s where they spend most of their day. Who Reads Paper Ads These Days? Why pick up a bulky newspaper when you have a tablet next to your bed for a read? Why watch TV ads, when you’re online most of the time watching videos? Also, does anyone read magazines these days? Because as far as we see, magazines are turning into a niche business. They serve a minority that still likes to look through catalogs and pictures. And pictures are plenty online. So you see, no one reads paper ads. More and more of your market are flocking online. And that’s where you must be. And speaking of paper ads…. #3 – Digital Marketing is Cheaper than Offline Marketing. With digital marketing, you pay per click. You pay for actual conversions and people clicking on your ads. But offline, you pay for limited physical space. And there’s no guarantee how many people are picking up paper mediums to read your ads. Offline, you pay money in hope that someone sees you. But online, you pay money only when someone sees you. It’s cheaper. But more importantly, it’s a more effective advertising method. Because every dime you pay has a higher chance of gaining you a client. So with online marketing, expect to slash your ad budget. #4 – You Can Export Marketing Internationally. And you can do that for cheap. For example, look at a country like India. They’re world leaders in the tech field, and SEO services India are often sought after. You can contract Indian marketers online for a variety of jobs. You can get a web development company India. Or you can hire a website developer in India! You have an open buffet of online digital marketers. And that’s one of the beauties of online marketing. #5 – There’s Room for Perfection. Analytics are a big part of digital marketing. With Analytics, you keep track of many advertising metrics. You can see traffic, conversion rates, bounce rates, and much more. You can test ads and see which are the most effective. And you get hard numbers to prove effective from faulty ads. Again, that’s not something you see offline. With a magazine, you can’t guarantee that your ad writing is effective. You need to hire an expensive agency to do the trial and error for you. Not to mention, testing offline ads takes time and meticulous work. And you do that manually. It’s Time to Start Digital Marketing! You need to setup an online presence. You need a website to redirect your marketing efforts to. A company that can help you is Website Developers India. They have experience setting up easy to read and responsive websites, getting you high conversions in short notice!